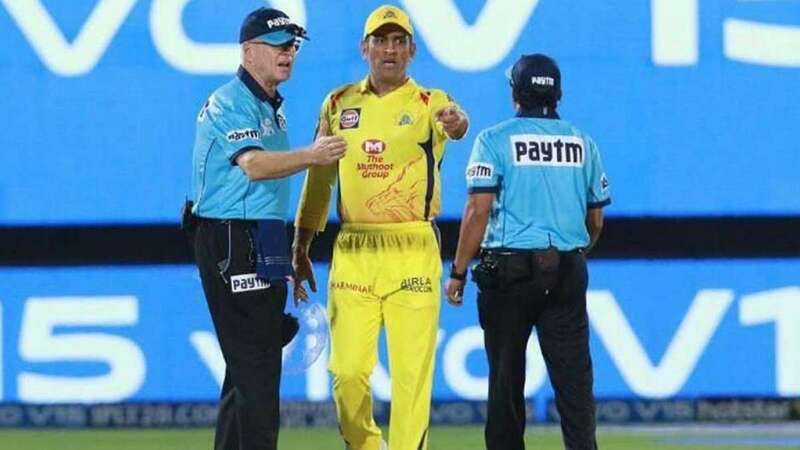 Jaipur : Mahendra Singh Dhoni is also known as captain cool but in one of the rare sights, he was seen losing his cool during a CSK vs RR Indian Premier League match on Thursday. The umpire stretched his hand in the second ball of the last over, both MS Dhoni and Ravindra Jadeja felt that it was a no-ball and calculated things accordingly. But suddenly, the CSK camp realised that they were wrong and they had miscalculated. Chennai beat Rajasthan Royals which cements their position at the top of the points table. Dhoni smashed 58 off 43 balls to help CSK gun down an in-between 151. Dhoni’s innings was laced with three sixes and two fours. It is Dhoni’s 100th win as captain in IPL. “It was a very good game. Need to give credit to Rajasthan. They were slightly few runs short on what would’ve been a good score. But they put pressure on our batsmen and they were able to build pressure right to the end. Once you win games like this, you learn a lot out of it. It’s important to enjoy the win but also learn from the mistakes. It’s about a few hits. Have to see the ground here. It’s a very big ground and the outfield is fast. At the end of the day, individuals do commit mistakes. But the team has to take the blame if you’ve lost. Doesn’t matter if it was Shardul’s over or someone else’s over,” said Dhoni at the post-match presentation.